Southeastern Connecticut and Southwestern Rhode Island are home to many small and medium-sized natural lakes. These lakes support some very healthy populations of Largemouth and Smallmouth Bass. 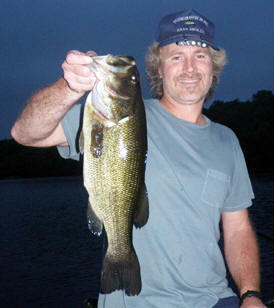 Curt Snow has been fishing these lakes at night for 11+ years and knows them intimately.